HONOLULU – As part of the Ige Administration’s effort to move state government toward a more efficient “paperless” environment, the Office of the Governor will begin using electronic signatures and will be processing all documents electronically, starting Oct. 1, 2015. The governor’s office has instructed departments to submit documents using an electronic routing form template. Signed electronic documents will be returned to departments via email which is encrypted inflight, rather than the traditional, less efficient hard-copy process. Gov. 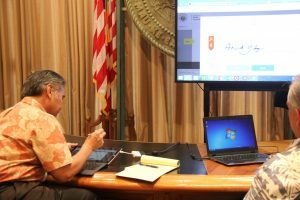 Ige participated in a training session on the eSign program on Sept. 29. (Photos are attached). In his State of the State address in January, Gov. 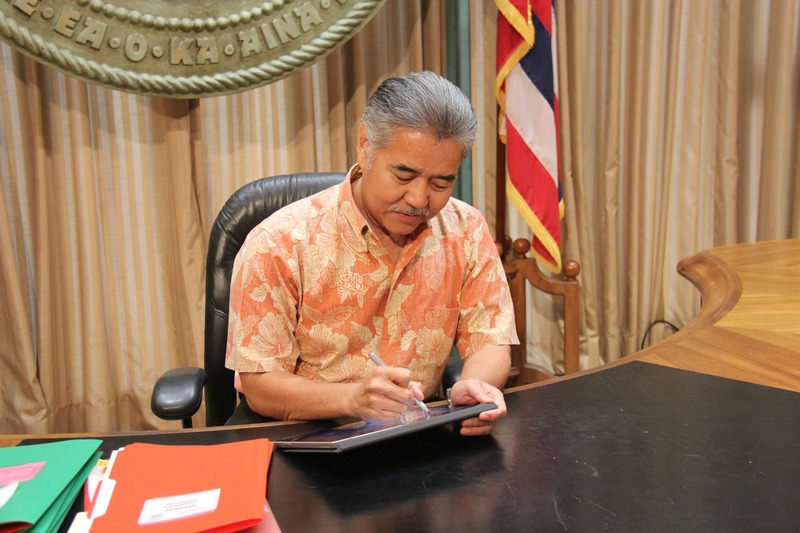 Ige committed to reducing the amount of paper the state uses and transforming the culture of government to embrace and accelerate change. In July, the Department of Human Resources Development (DHRD), under the direction of James Nishimoto, authorized departments to utilize electronic signatures/electronic records in lieu of existing paper forms previously developed and authorized for human resources purposes. With departmental participation mandatory, each department has been tasked with developing their respective implementation plans. 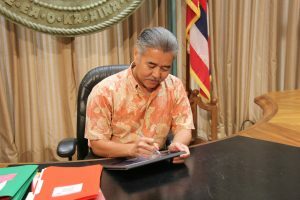 In addition, the Office of Information Management and Technology (OIMT) and the Information and Communication Services Division (ICSD), under the direction of the state Chief Information Officer (CIO) Todd Nacapuy, partnered with DHRD to evaluate potential enterprise-wide electronic signature/record solutions. 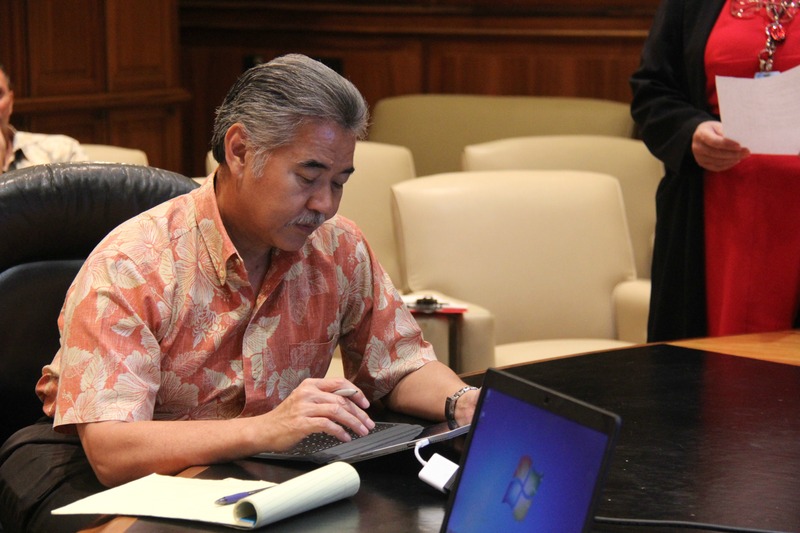 “I applaud the leadership of Director Nishimoto, CIO Nacapuy and their teams for spearheading this collaborative effort, which will enhance the operating efficiency and transition of our state government to a more sustainable working environment,” Gov. Ige added.